If you have Paruresis and you want to begin recovery, then take my advice: Write about it! Grab a pen and a note pad (or a laptop or tablet) and put your feelings down. 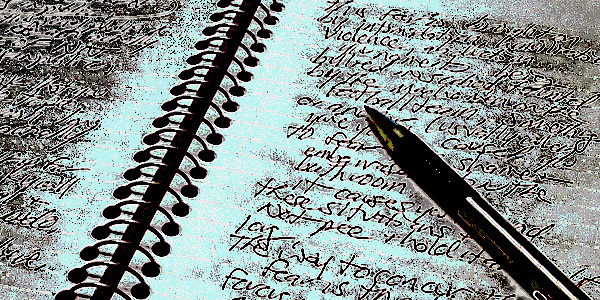 Write about your past, what caused your Bladder Shyness. Write about your fears, your emotions, your shame and your current condition. This is what I’m doing with this website, I’m opening up and letting my deep rooted secrets be known. I’m sharing my phobia and my quest for a cure with the world. I can’t tell you what being so free about Paruresis has done to me. It’s made it all become crystal clear. It’s made me understand my shyness, acknowledge the symptoms and spot the avoidance. I’ve been able to really see what Paruresis has done to me and how it’s touched every aspect of my life. It’s all because I wrote! It’s because I held nothing back. I let my thoughts run wild. Writing has allowed me to see it all, feel it all, and even though I can understand how and why it began, I can also see where it’s going. I can taste it! I know I need to set some goals. I need to take my recovery step by step. I know it won’t be easy and that I’ll probably encounter many set backs and plateaus. But I’ll write about it all here. It’s the best therapy you could ever ask for. It will show you how much you’re holding in and how shameful you feel. You will really understand how sheltered and shackled and handcuffed your life has become. Write to free your heart, body and mind. That’s the first step. Accept what you are and what you have, and what you want to accomplish. If you have the desire to share your experiences, then send them to me and I will post them here on shybladderhq (I won’t post your full name unless that’s what you want). We can all learn from our pain and our discomfort. We can all become better, stronger, and someday recovered. Write out your goals and your future. Make yourself some affirmations, but what ever you do: BEGIN! Write. Keep writing. Don’t stop the pen. Let it flow. It’s exhilarating to vent and confess. Other Paruretics will hear you. Nod their heads. Agree with you. They understand! We all know what you’re going through. We’ve been there. We feel it. We are dealing with the exact same issues. The same fears. The same social phobia. We can get our life and dreams and future back. But for now, get it out of your system. Write about Paruresis! Free the beast! Put your heart into it and see where it takes you. It took me to a dark place. It made me cry. It’s been good for me. There’s nothing to be scared of. We are all Pee Shy and all looking for magical cures and happy endings. Write, Cry, Share, lift your Spirits. Lift your Head. No more Shame! Let us see, let us feel, let us remove that weight from your shoulders. It will do you some good. It’s done me a world of good. I can see my path clearly now. I can understand where I’ve been. I can see the signs. I know where I want to be. It’s all because I wrote. I urge you to write as well. Write for yourself. Write like no one will ever read it. Just write! See where your personal journey of Paruresis takes you. I’m sure it’s into places you’d rather not go. But, just like the bathrooms, just like your shame… You have to go there! That’s the only way you’ll see what you need to recover from. You have to stare it in the face! So take the first step and write. Grab a pen and a cup of coffee. Sit yourself in a quiet, comfortable chair and let yourself be free.